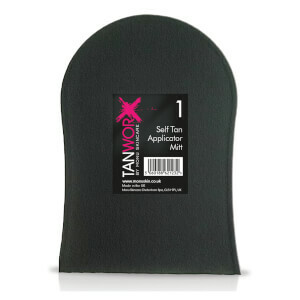 Tanworx is part of the MONU Professional Skincare range, and it's the UK's premier self tan and spray tan supply company. Their tanning products and treatments are found in many professional beauty salons across the country, but now HQHair are able to offer you these products to use at home, so you can achieve the amazing results yourself. If you want to create bronzed, tanned and beautifully moisturised skin, then this is the range for you; as skincare experts, the brand offers self-tanners that not only make your skin look good, but also care for it too. Choose the formula you prefer to use; either a luxurious tanning lotion or a velvety mousse, and select the shade most appropriate for your skin tone. For the best fake tan experience, don't forget to exfoliate thoroughly before you apply to ensure the colour is even, and remember to moisturise regularly to maintain your new tan for as long as possible. You will find kits available below that provide everything you need to achieve the best fake tan; including an exfoliating cream, tan maintenance moisturiser and application mitt, plus a self tanning foam in either the light or dark shade. There is also the Instant Wash Off Tan lotion, which is perfect for anyone who is new to self tanning, or if you simply prefer the convenience of easily removing your tan. This instant fake tan is ideal for parties or a night out; just apply it all over your body (or just the bits on show!) and wash it off at the end of the day. Find the best fake tan for you at HQHair.com and try it out for yourself with free delivery options.